With this product, you earn 5 reward points. Bright, clean, lemon opening. I'm not a note expert but I think it's the faint rosewood or rose giving this a feminine feel. That's just the scent wafting in the air. If you get into where you sprayed it, all you get is lemons. The drydown is where the old-school magic happens. I'm not a fan of wearing but it definitely has that time machine effect. I get really good projection. Habit Rouge, I would have to say so far this one was one of the strongest scents I received. It really is pungent and not in the best way. I mean a little goes a long way. The dry down helps as it wears off but it takes some time. If you can kill some time before you gotta go out with this one it will be OK, but at first glance it's overpowering. It has a place holder as a great "memory" enhancer ... It has alot of complexity and a vintage vibe and will come out to be enjoyed as a nostalgic moment. This is something your Grandad might wear. 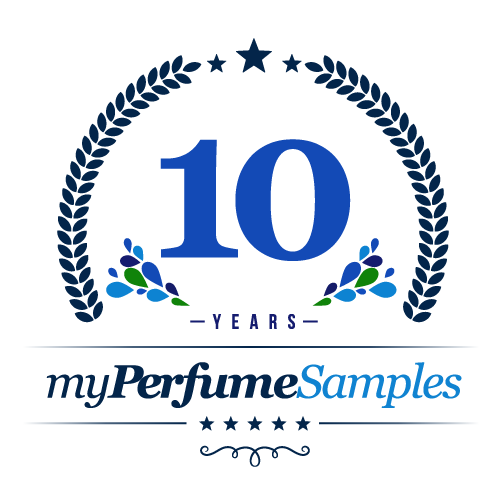 It's vanilla, leather, patchouli and will definitely smell "old" by modern standards. A light vanilla smell with something added to it, cant put my finger on it. Bought this as part of a sampler pack and was really looking forward to try it, since I've read many excellent reviews elsewhere. Huge disappointment. Somehow, the citruses (I think orange in particular) team up with another note that I can't really identify and together they create a very unpleasant metallic effect on my skin. Smells very dated. Not recommended to anyone who is still alive. Unique, floral, sweet and warm. Good longevity. Love Guerlain but I could never like this. Ifts very dated and busy. It's not a particularly manly smell, and is quite flowery. It smells too much like the 80s to be a regular cologne in my rotation. Smells good with a great combination of fruity notes and whatnot, but because of the presence of the vanilla, I'm going to go ahead and set this scent aside for the women. The only thing keeping this scent in the men's department is the presence of the spices. Vanilla should be nowhere near a men's cologne. Habit Rouge to me is the male equivalent of Ungaro's DIVA! It's a powdery powerhouse fragrance and it lasts from, say, midnight to midnight...really! I'm rarely in the mood for 'powdery' (female or male scents), but when I am, Habit Rouge is the winner all around - 1st Place ribbon!! On trying this cologne for the first time,I was a little skeptical about it cause of it being so different from a lot of other ones. I can first smell the citrus notes,then it comes out both sweet and spicy,due to the floral,spice and vanilla notes. Towards the end of the dry down,all I smell is a faint scent of vanilla. I'm not particular fond of vanilla in a cologne but if it's real lightly combined with other notes,or real light by itself in the drydown,then it's alright. I would like to caution people that this is a very strong cologne. So if you just spray lightly one or two times would be just fine. This fragrance was one for me,that I had to try it several times before I knew I liked it. The sweetness of it could make this cologne also a unisexual one. I do recommmend this cologne,if you like a scent that's both sweet & spicy.